← Apple Picking in August? ” Let’s go to the BEACH!” is my B’s number ONE request after school every day. 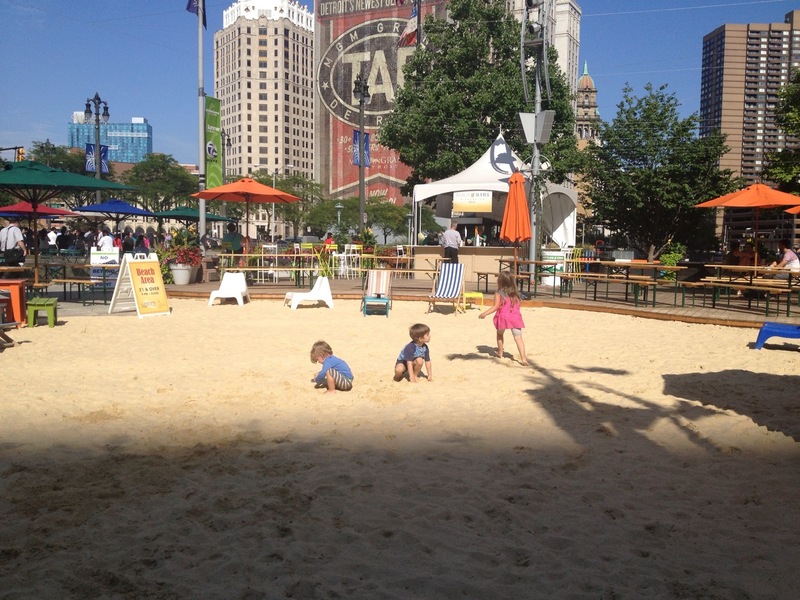 Campus Martius has made a beautiful beach to run, jump and play in. With both sun and shaded seating, a water fountain to wash your feet in plus a HUGE fountain to gaze at, your kids will be happy you came. Bring their sand toys if you really want to knock their socks off! The Compuware building is just a few feet away with clean public bathrooms and benches to rest for a moment in the air conditioning. The indoor fountain is amazing to watch and will give your kids a giggle. Street parking is readily available and lots of little eateries (mostly well-known national chains) are all within a hundred yards. The “beach” has a bar and patio geared toward adults too with a full service bar where you can enjoy a beer and stick YOUR toes in the sand. On the flip side of the fountain is a beautiful grassy area with tons of bistro seating and a gelato stand. The stage area has programs listed on the Campus Martius site year round. What’s your favorite time of year to visit Campus Martius? 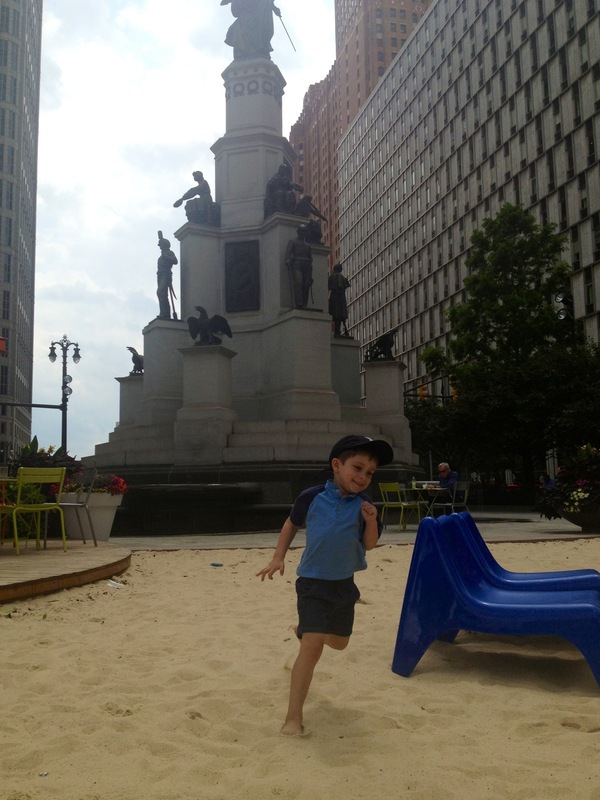 This entry was posted in To do in Metro Detroit and tagged beach, Campus Martius, family, family fun, kids. Bookmark the permalink.